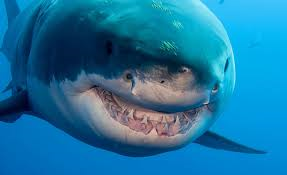 This week is Shark week on the Discovery Channel and while there are some good quality fact based programmes a lot of them are fictitious nonsense with titles such as , Megalodon: The Monster Shark Lives, Shark of Darkness: Wrath of Submarine, and Megaladon: The New Evidence. These programmes portray sharks as evil, calculated killing machines which we know just isn’t true. This coupled with the ingrained theme tune to Jaws that a generation of 70’s and 80’s kids like myself have on standby to scare themselves whilst in the sea does little for the sharks reputation. Peter Benchley’s 1974 novel Jaws and the iconic art work that accompanied the film has placed sharks firmly in our subconscious as premeditated man eaters that should be hunted down, killed and feared.